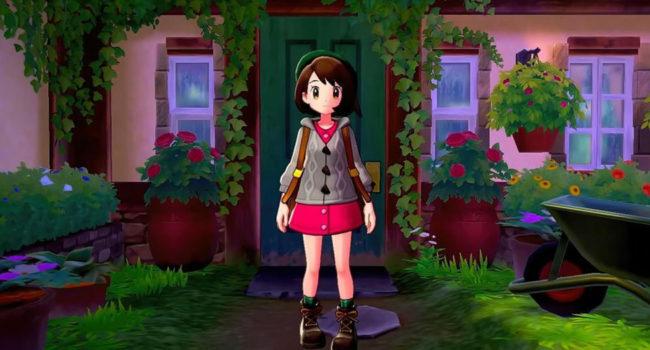 Pokemon Sword and Shield explores the Galar region, which appears to be heavily inspired by Great Britain. Fans quickly memed that the female trainer was of Scottish descent, and enjoyed her share of heavy drinking and hard swearing in a Scottish accent. So add a bottle of Scotch whiskey to go that extra mile. And don’t miss the costume guide for the male trainer. 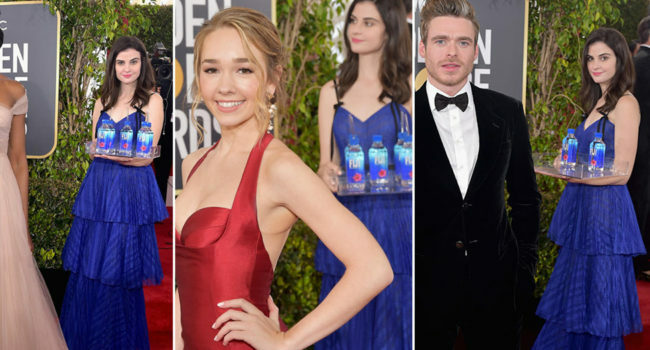 Fiji Water Girl is the nickname given to model Kelleth Cuthbert, who was hired to hydrate attendees of the 2019 Golden Globe on the red carpet. Instead, she drew attention to herself by photobombing celebrities, standing directly behind them while displaying a tray of Fiji waters and staring deep into the camera. Go with the first dress for an affordable option, or the second gown for the real deal. Sneed and Chuck are names given by fans to two farmers who appear in the Simpsons episode E-I-E-I-(Annoyed Grunt). They appear outside the store “Sneed’s Feed and Seed, Formerly Chuck’s” with the name becoming one of the biggest memes in the Simpsons community due to how clever and suggestive the name is. This makes a great costume for best friend Simpsons fans. In The Mighty Boosh, Old Gregg (Noel Fielding) is a merman who gets accidentally pulled out of the water. He has green skin, webbed hands, and seaweed hair, but most notably, a “mangina” that emits a strong beam of light. Phil Swift is the co-creator and spokesman of Flex Seal Products, including Flex Tape, Flex Seal, and Flex Shot. He is not a fan of boats, frequently sawing them in half while yelling his catchphrase “Now that’s a lotta damage!” Many speculate that he is the second coming of Billy Mays. 7 Grand Dad is an infamous bootleg NES game based on a pirated version of The Flintstones: The Rescue of Dino and Hoppy, marketed in Russia as Super Mario 7. Due to the absurd nature of the game, it became a running joke on Vinesauce Joel streams, and later SiIvaGunner videos. Jeff the Killer is a classic meme originating from a creepypasta post in 2008. He is a young boy who, after being badly beaten and burnt, goes insane, cutting his eyelids and mouth and becoming a deranged serial killer. He tells his victims “Go to sleep” before murdering them. Jek Tono Porkins, nicknamed Piggy and codenamed Red Six, was a member of the Rebel Alliance and a striker pilot for Red Squadron. He is remembered for his tragic death in the battle to destroy the Death Star is Star Wars Episode IV: A New Hope and is infamous online for his unfortunate name. “I have a feeling you and I are going to become very close…” Fargoth, among other things, is the first NPC you’ll encounter after leaving the Census and Excise building in Seyda Neen. Watch out for that annoying Hrisskar Flat-Foot who enjoys shaking you down, perhaps a little too much. You’ve only got 300 gold coins to your name and you’d better keep an eye on them. Maybe you’ll even get your Engraved Ring of Healing back one day. A good tailor will be able to hem the sleeves of that tunic so it matches nicely.